What reaction can I expect from my small children when I tell them we’re separating and in the months following? While no child wants to hear that their parents are breaking up, children often have predictable responses when you tell them that you are separating that relate to their developmental stage. Knowing what these might be will hopefully make you more prepared for the emotional, behavioural and physical changes that will follow. Young children do not fully understand the concept of marriage and separation. They will only understand that mommy or daddy will no longer be living together. Don’t tell them that mummy and daddy don’t love each other anymore because this may make the children think you will stop loving them. Be prepared for them to find it difficult to grasp what is happening. Try to make them understand otherwise they will be frustrated and confused. 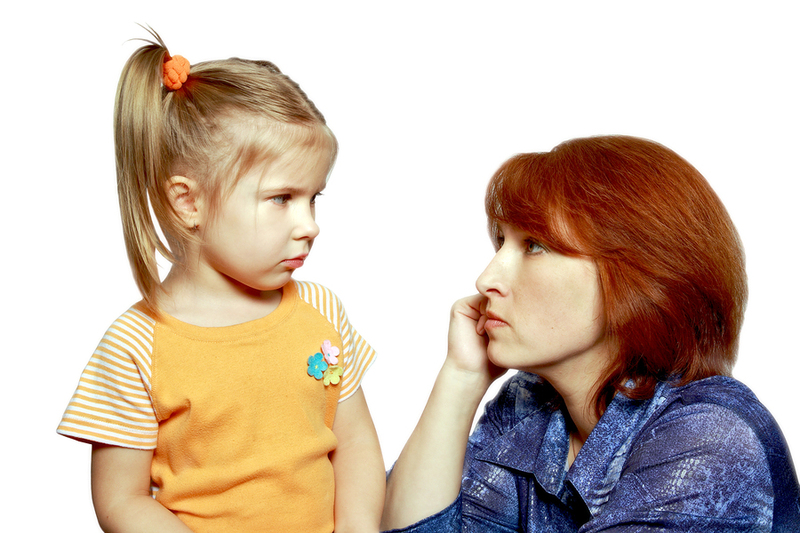 Children under five often blame themselves for the separation - which you don’t want. 1. Cry, then they will pretend you never mentioned the separation. 3. Show no emotion at all at the time but then leave the room to process their feelings. The child who shows no emotion at all in front of the parents is the one who the parents will have to reach out to more. Once they have been able to process some of the information you tell them they will have lots of feelings and fears about the future. The fear of abandonment is very common and is expressed in a variety of ways. Children may cling, whine and have tantrums when left at child care. They want the security of being with their main carer and don’t want to be left. When you pick them up they may also be upset because you left them but also relieved and pleased to see you. Children may get upset when moved between parents during access visits and will feel unsettled if their main carer changes e.g. they may have a new person looking after them if mum has to go to back to work. Being around unfamiliar people can make them tearful and anxious. Often they will struggle with a new routine and having to be moved between both parents. Young children, as mentioned, before love routine. Some children often regress in their behaviour. They may return to the comfort of a security blanket or a toy they had outgrown or they may have a lapse in toilet training. It is not unusual for children to have disturbed sleep either. Bear with them as it won’t be forever. These types of behaviour rarely last for more than a few weeks. Some children may become irritable and engage more in physical activity and fighting. This is because of the hurt they feel and the anger towards the situation. Other children may become more fearful of aggression and being hurt. They have been hurt enough why would they want to be more. Children under five may become less imaginative and co-operative in their play. They may prefer to play by themselves rather than with friends and they may show a preference for adult company as being near adults makes them feel secure. They can show more anger and apathy in their play and in their interactions with peers and adults as they act out how they feel and the situation they are in e.g. when dad comes to the house to pick them up for the day. There are a lot of negative feelings and actions regarding young children going through divorce but there are some positives. Preschool children can really try to understand the situation they find themselves in. They attempt to bring some order to their world by trying to explain to themselves what is happening and by trying to be well behaved. If they are well behaved then their other parent may come back. Though it takes some time, most children gradually understand the situation and adjust to it. How young children react is different to how babies will. Of course, you don’t tell a baby you and dad aren’t living together but they will sense something is going on. Even though they can’t speak, they are still perceptive and will be able to pick up on your anxiety and can make them anxious. Babies don’t need any more or any less love than you were giving them before you separated. They still do need cuddles and stimulation but they also need peace and tranquility. If you don’t give them enough attention and are emotionally distant your baby will sense this and become irritated or tense. Babies and young children are very resilient when faced with early stress. Many children grow up emotionally together and psychologically strong even though they have had the adverse childhood experience of their parents separating. Young children do not necessarily carry their wounds through into their adult life. If a young child’s life improves and changes, especially during the ages of two and six, the negative effects of early childhood can be reversed. In the short term, there do not seem to be any effects on the academic achievement of children. They are likely to do just as well in school as they did before the divorce.